Infuriatingly, it looks like the government may mothball the Environmental Performance Standard, which would have limited emissions from new large power stations. This is despite the fact that both the Conservatives and Libdems championed the policy while in opposition. As a result it’s likely that emissions from grid electricity will stay high for quite some time. 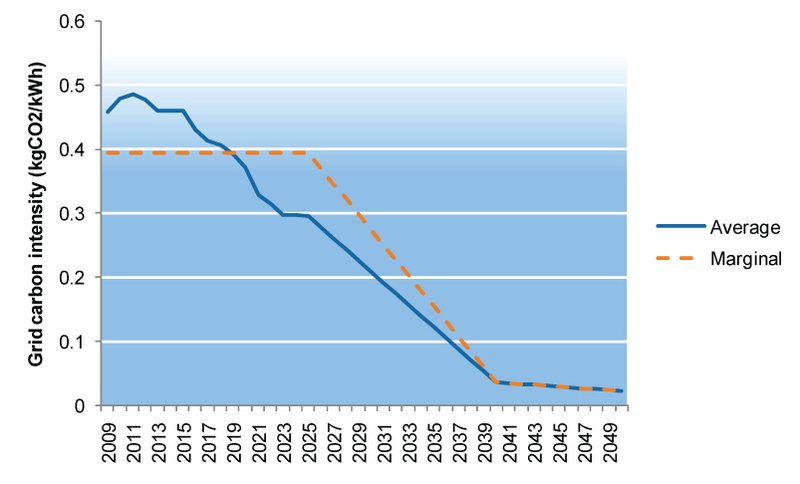 In fact the official line is that the carbon intensity of the grid will remain roughly steady until 2015, when it will plummet towards near-zero carbon in 2040. (As an aside, is it a coincidence that the dropoff comes in 2015, given that it’s the latest possible date for the next general election?) It will be interesting to see how that drop off moves in coming years. The announcement strongly reinforces the message from DECC that decarbonisation of heat will not be achieved through electrification. In other words, heat pumps are not the answer to decarbonising heat at the national scale. Source is table 1 from the recently published DECC stats.